Position Summary: As a member of the Senior Solutions Department will provide care management and counseling services to older adults, adults with disabilities, individuals experiencing poverty and impacted family members in the Boulder JFS program. 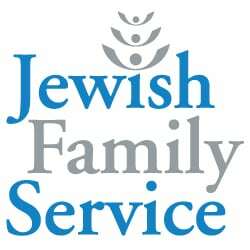 Jewish Family Service of Colorado (JFS) is an established 147-year-old human services organization with a strong reputation for quality, high-impact services that benefit 22,000 people of all faiths, races, ages, incomes and abilities. With annual revenue of $12 million, JFS works to reduce hunger and prevent homelessness, provide quality mental health services to adults, children and families, offer job training and placement for people with barriers to employment, and provide support to help older adults maintain a high quality of life. required. LCSW and established Medicare provider, preferred. interventions for the population served. familiarity with client database systems. homes, and familiarity with developing and facilitating support groups. • Establish care plan goals with client, caregiver, family members and others. chronic illness in their homes, assisted living facilities, skilled care facilities, or at the JFS office. the client and community service providers. • Attends meetings as needed to advocate for client wishes/needs. • Provides assistance and support to interns and volunteers. opportunities. Participates in meetings as requested. and represents JFS at community outreach events.